California drivers near Studio City will be noticeable while driving down the interstate with the luxury and modern features of our BMW series. All-new for 2018, BMW has shared their concept design for the new generation of X7 vehicles which includes a roomy SUV model: the X7 iPerformance. Like previous X7 generations, the X7 iPerformance has angular, vertical proportions, 23-inch wheel rims, and three seat rows. The BMW Concept X7 iPerformance is the next step in luxury for BMW drivers. This SUV model brings luxury and spaciousness to a whole new level. The concept model offers a passenger-friendly interior cabin for up to six passengers. The striking exterior design is iconic with clean lines and the unique kidney grille makes the X7 iPerformance stand out on the street. The interior luxury is reflected by the exterior design with the narrow head and tail lamps showcase the width of the SUV to hint at the spacious cabin within. The pairing of simplistic sleek design and modern details makes this concept SUV standout from amongst the other utility vehicles on the road. Drivers looking for an elevated, luxury driving experience without sacrificing utility and functionality can look out for the all-new X7 iPerformance SUV vehicle. 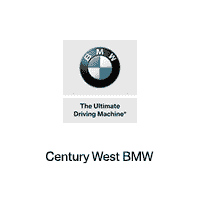 Experience the luxury of our BMW vehicles with a test drive of your select model at Century West BMW in Studio City. Visit us to learn more about the upcoming available of the all-new X7 BMW series that is planned to hit the streets in 2018.